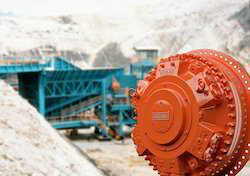 In order to cater the variegated demands of our precious clients, we trade, export and supply a wide range of quality assured range of Direct Drive Hydraulic Motor. 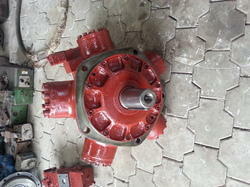 We are offering Hydraulic Motor to our clients. Eaton offers a wide range of hydraulic motor solutions backed by decades of proven reliability and performance. Choose from a full line of gerotor/geroler, gear, piston and vane motors for applications ranging from low speed high torque to high speed, high power with complete confidence. M/s Rotodyne Fluid Technic as the only indigenousmanufactures of Gerotor Type Hydraulic Motors and Vane type Hydraulic Rotary Actuators in India. These motors incorporate the proven orbit principle to provide high torque at low speed. A built in 6 to 1 speed reduction eliminates the need for a gear box in most applications. Due to rich industrial understanding, we provide an exceptional assortment of Hydraulic Motor. Our entire product array is highly compatible in nature. Counted amid one of the distinctive and trustworthy business enterprises, we are concentrated towards providing to our customers a highly reliable Hydraulic Motor. At Charu Chemical Labs we make use of the latest state of the art technology of microprocessors and Direct Drive motors to bring to you world class, highly accurate Chart Drive Motors / Miniature Gear Motors that are virtually maintenance free. Our drive motors help in the movement of the charts while they are placed on the instrument. With the help of our expert team members, we have been able to provide eye-catching Direct Drive Motor.